Actress Lindsay Lohan's lawsuit against Grand Theft Auto developer Rockstar was dismissed today by the New York County Supreme Court. Filed in July 2014, the suit alleged that Rockstar had used the Mean Girls star's likeness without permission - and violated her right to privacy - with the creation of character Lacey Jonas, who appeared in story missions and the game's marketing imagery. Jonas is depicted in the game as a young, blonde movie star in a neverending war with paparazzi, much like Lohan; one mission involves breaking into the GTA equivalent of Lohan's former hotel residence. 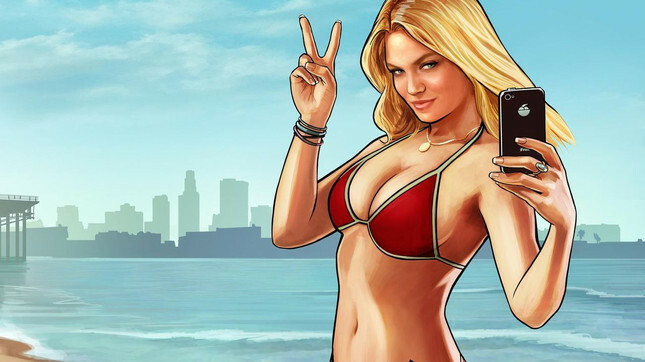 Specifically, the lawsuit stated that Rockstar "purposefully used Lohan's bikini, shoulder-length blonde hair, jewelry, cell phone, and 'signature peace sign' pose' in one image, and used Lohan's likeness in another image by appropriating facial features, body type, physical appearance, hair, hat, sunglasses, jean shorts, and loose white top." Rockstar's position on the conflict was that Lohan was merely seeking attention with the legal action. Today, Lohan's suit - as well as that of Mob Wives star Karen Gravano, who claimed her likeness and life story had been appropriated for minor GTAV character Andrea Bottino - was deemed without merit by a panel of five judges, since her specific likeness and name are not used in the game. In addition, the court stated that the game would be protected under the First Amendment, since its "unique story, characters, dialogue, and environment, combined with the player’s ability to choose how to proceed in the game, render it a work of fiction and satire." As of May this year, Grand Theft Auto V had sold over 65 million copies across five platforms.